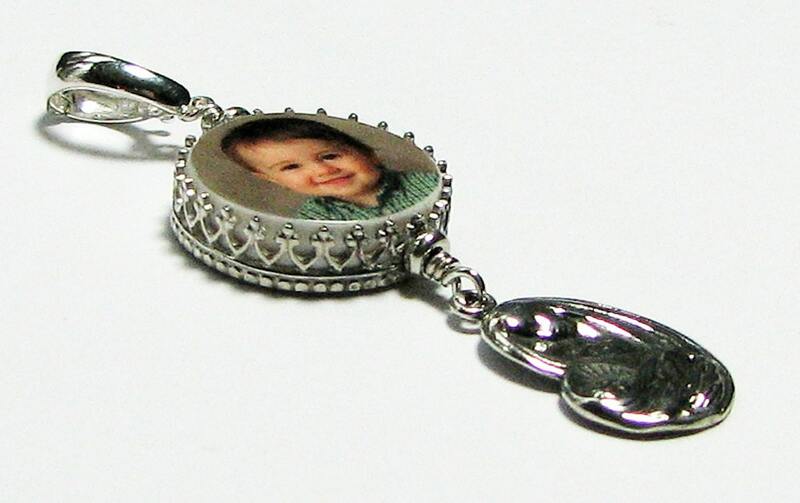 This is a round, two-sided photo charm that is approx .65" in size. 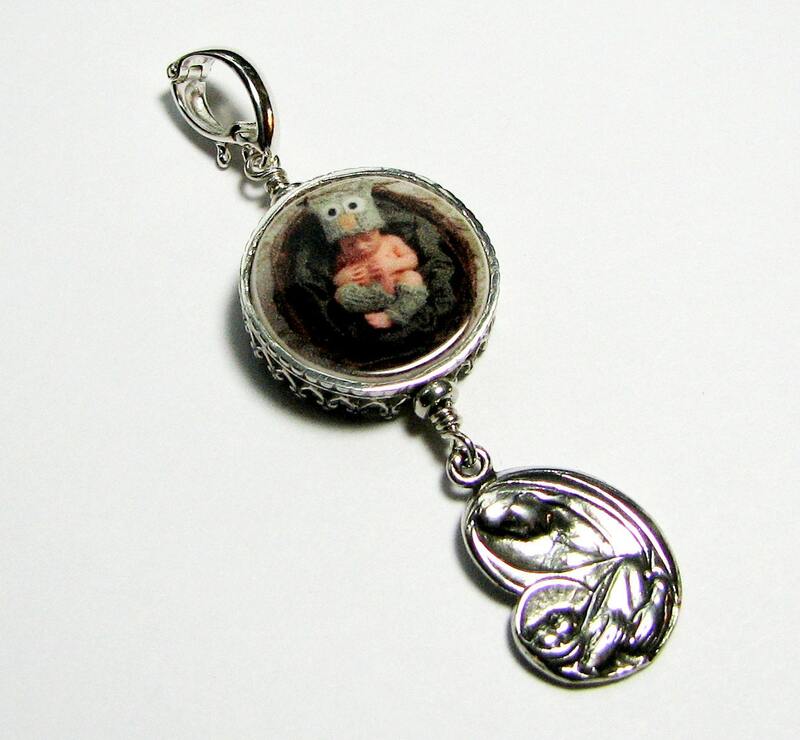 It comes on a sterling silver inter-changeable bail, so you can add it to any necklace that has room for it. 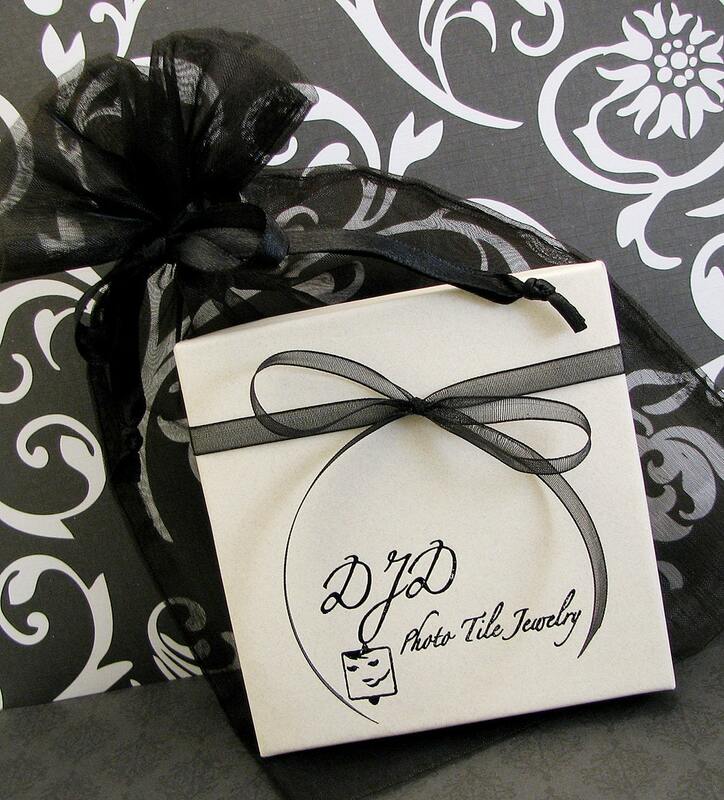 This one if framed in a gorgeous, sterling frame. You can have a second image or a small amount of text on the back side. 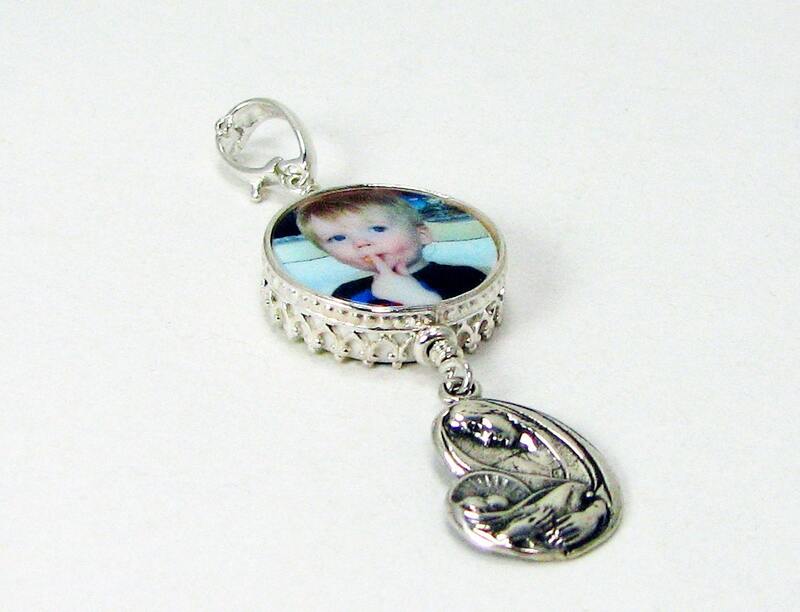 It holds a beautiful, sterling silver Mother and Child charm dangling from the bottom.